“Started with electric panels, added battery bank, solar water heater and then installed panels on my business. I researched and requested bids from several solar companies in the Wilmington area, and Cape Fear Solar was by far the most professional. One salesperson from a competitor even said, “John with Cape Fear Solar Systems is the best in the area.” That was impressive to hear. The other two companies I got bids from are no longer in business. I had the battery banks added too, and I sleep better at night knowing my two fridges and freezer will have power even if we have no power at our house during power outages. 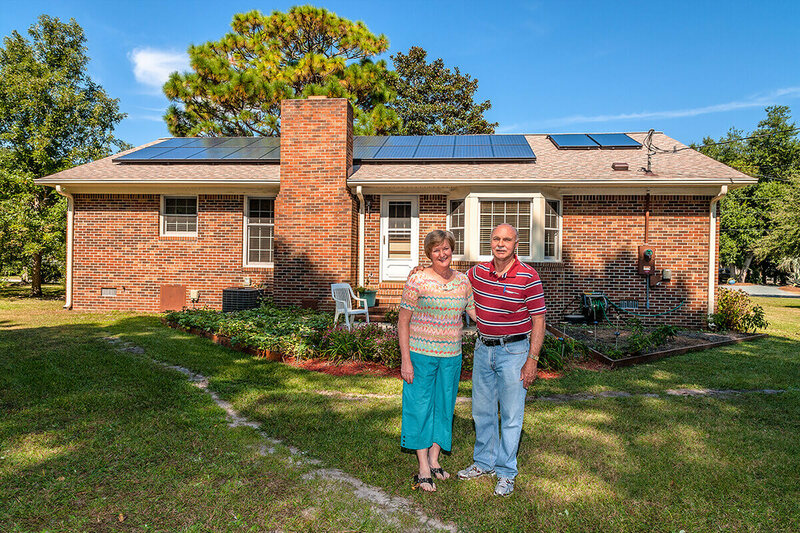 Anyone considering adding solar power to their home should definitely choose Cape Fear Solar as their installer. My wife and I are very glad we did. We were even more impressed with the service after the installation. For the technical details and to see pictures from this residential solar electric system with a battery bank (installed in 2012), water heater (installed 2016) installation, click here. 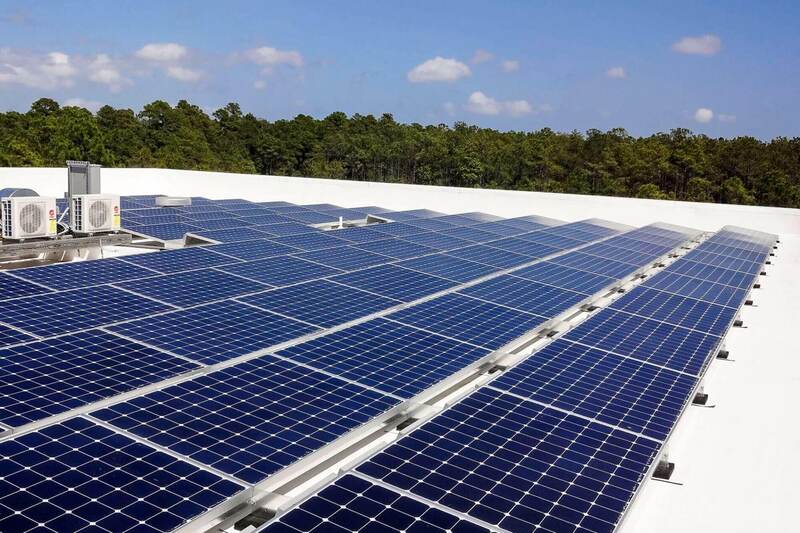 For more details about the commercial installation, solar panels on the MyEmployees.com office building (installed in 2014), please visit our gallery here.